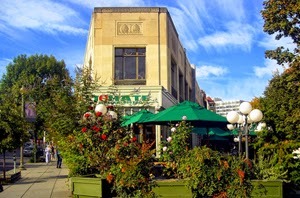 Though a major commercial corridor today, Connecticut Avenue north of Dupont Circle and the Circle itself was originally developed as a fashionable residential neighborhood beginning in the early 1880s. The large triangular lot at the intersection of Connecticut Avenue, R Street and 20th Streets is today occupied by a distinctive triangular building built in 1922, housing the La Tomate Restaurant at 1701 Connecticut Avenue Before that, however, it was the site of a spectacular brown stone mansion built by Senator Philetus Sawyer in 1888. Philetus Sawyer (1816 – 1900), right, was an American politician of the Republican Party who had the unique title of representing Wisconsin in both houses of Congress. He was born on September 22, 1816 in Whiting, Vermont, and moved to Crown Point, New York, as an infant in 1817. He was the fifth child of Ephraim Sawyer and Mary Parks, and eventually attended rural schools there, worked as a woodsman and sawmill hand, and for a time operated a lumbermill. In 1841, he married Malvina M. Hadley, and they would eventually have five children together: Ella, Earl, Edgar, Emma, and Erma. He moved to Fond du Lac County, Wisconsin in 1847 and soon thereafter became a millionaire in the lumber industry in Oshkosh, surrounded by thick forests of old growth. Oshkosh became known as “Sawdust City,” and her sister cities on the Lake Winnebago-Fox River waterway soon became the center of early lumber milling and commerce. One of his best customers would eventually be the Diamond match company. Amusingly, his competitors in the lumber industry spread the rumor that he always signed his letters and documents P. Sawyer because he himself could not spell his first name. Later in life, he seemingly changed his habit and signed his full name as if to prove his enemies wrong. 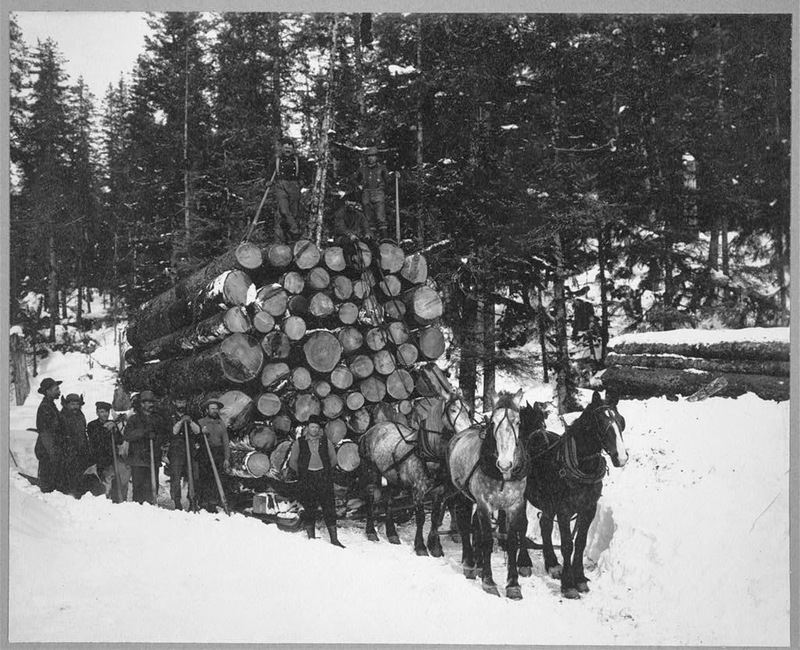 Sawyer amassed a fortune, which during the Civil War became even larger as his industry evolved from the sawmill and rough-hewn lumber stage to planing mill and finished woodwork. In 1878, Sawyer formed a lumber company with his son, Edgar P. and a former employee named William O. Goodman named Sawyer-Goodman & Co. that expanded operations into Illinios, Iowa, and Nebraska. They owned yards in Chicago and mills in the Menominee Valley, and were successful speculators in the Wolf and Chippewa valley timberlands, along with large investments in Wisconsin banking and railroad enterprises. Sawyer’s daughter Erna eventually married Goodman. 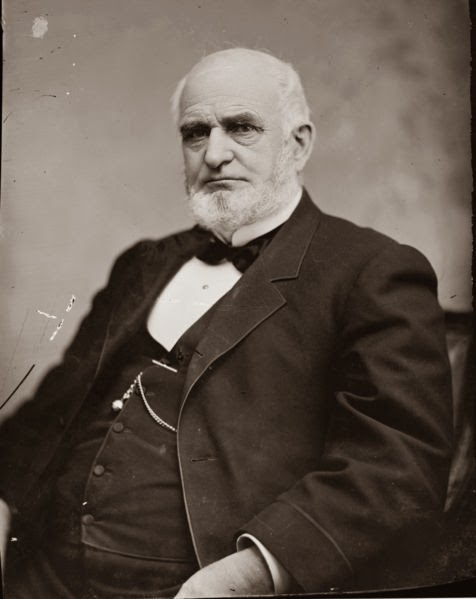 Sawyer's early political career included serving in the Wisconsin State Assembly in 1857 and 1861, and serving as mayor of Oshkosh, Wisconsin, from 1863 to 1864. He ran for and was elected to the United States House of Representatives in 1864 and served for ten years, from 1865 until 1875; he did not run for reelection in 1874. He gained a reputation as being the “foremost logroller” of his time through his handling of river and harbor appropriation bills. However, Sawyer returned to Congress in 1881 as a U.S. Senator from Wisconsin, and served two terms, from 1881 to 1893. The US Senate was then a wealthy men’s club, whose members didn’t represent political entities so much as they represented economic empires. From Nevada, for example, then hailed James G. Fair, known as “Bonanza Fair,” the wealthiest of them all; he had accumulated a fortune of thirty millions from silver mines. 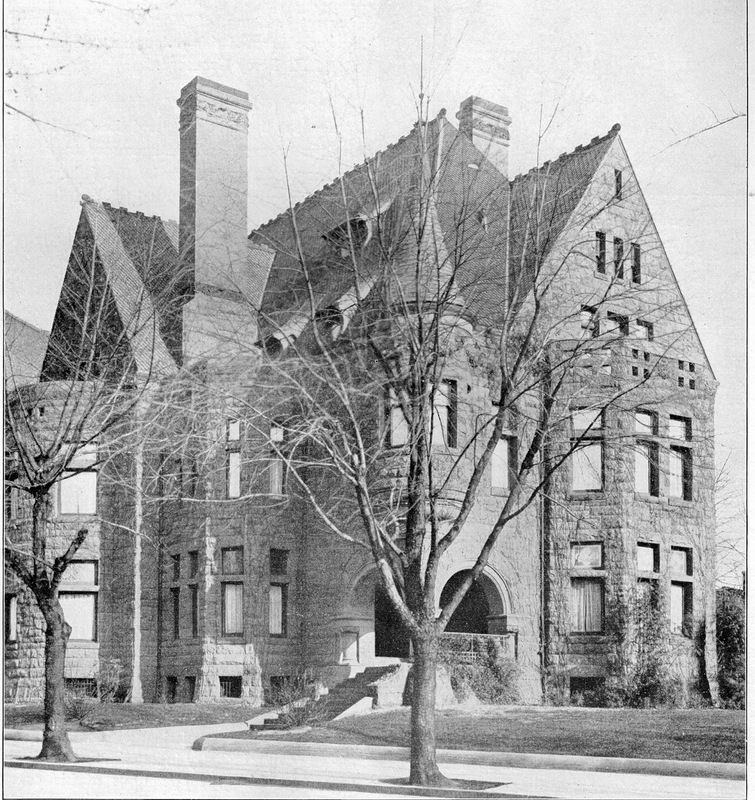 Sawyer’s stone mansion at 1701 Connecticut Avenue had begun to be constructed in March of 1888, and while he himself resided there, it was apparently built for his daughter Emma, then the wife of Syracuse, NY journalist Howard White. 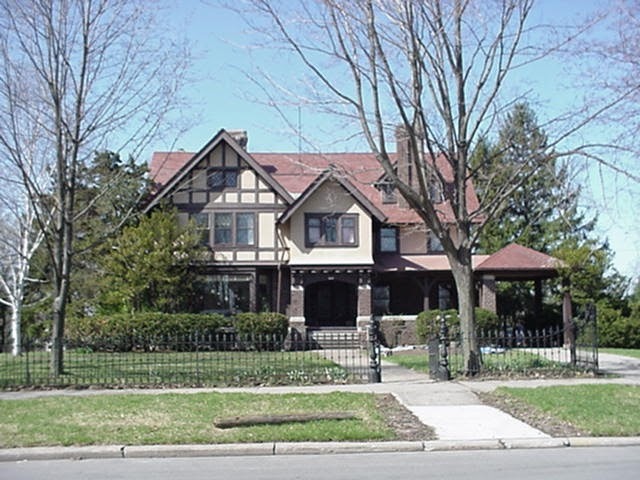 The mansion was designed by architect William H. Miller and was built at an impressive estimated cost of $80,000, when the typical townhouse in Washington was built for less than $3,000. It was built by William P. Lipscomb, who lost money on the elaborate construction, but Sawyer was so pleased with the house that he offered to pay beyond the contract price for the house. In 1891, as bondsman for two of the defendants in a Wisconsin treasury legal case, Sawyer offered money to Robert M. La Follette, Sr., brother-in-law of the judge scheduled to try the cases; La Follette denounced the offer as an intended bribe, while Sawyer maintained that his offer had been made only in the hope of obtaining La Follette’s legal services. The resulting scandal split the state Republican party, and, after leaving the Senate in 1893, Sawyer spent his last years fighting the ensuing revolt of the La Follette, or Progressive, faction of the party which gained control shortly thereafter. Sawyer sold 1701 Connecticut Avenue just two weeks before he died in March of 1900 for the stunning amount of $100,000. Its new owner was Henry Cleveland Perkins, a wealthy mining engineer and owner of the Oriental Consolidated Mining Company that owned mines in California, Alaska, Venezuela, Korea, and South Africa. Known as the “grand old man” of Oshkosh, in his later years, Sawyer performed various local philanthropic acts, many of them anonymous, and was a trustee and generous benefactor of Lawrence College. Sawyer died on March 29, 1900 in Oshkosh at age 83, where he was also interred. Sawyer County, Wisconsin, was named for him, and a book of his life entitled Pine Logs and Politics: A Life of Philetus Sawyer, 1816- 1900 was written by Richard Nelson Current, published by the Wisconsin State Historical Society in 1950. Sadly, the Sawyer mansion was sold in 1921 and demolished after existing on the intersection of Connecticut Avenue and 20th Street for thirty-three years. Architect George N. Ray designed the current building at 1701 Connecticut Avenue, which was begun in May of 1923. Ironically, it too was built by the William Lipscomb company that had build Sawyers house on the site in 1888. It was built as an office building, but subsequently housed the Regina Valet and today is home to the La Tomate restaurant.